If anyone can feel at the top of ones own peak then this was me roughly three weeks ago, in that time I have had to deal with a very sudden shock in the form of my very poorly mother, (she’ll hate me for calling her mother) without going into some personal detail We now find that my mum is now living on borrowed time, and if the great man upstairs see’s just how wonderful my mum is, this time will be an eternity. Of course this hit me & my family sideways & the once bustling teaming with confidence & ambition Paul Sharkey was reduced to a wreck; we all were, never in the last three weeks have I needed the fells and solitude of rock and slope underfoot than I do right now but for some strange reason Lakeland never entered my head, I didn’t have time to drift away dreaming of this solitude & vast open fell side & deep blue sky for as long as the eye can see, I was needed elsewhere & this took every grain of energy & strength I had. I quoted myself about three weeks ago in that I felt good, I felt fit & was on cloud nine at the thought of my four year long dream of completing every Wainwright was almost coming to an end & the fells where at my feet. That is a wonderful feeling & its still in there somewhere I just have to do some soul searching & dig deep. 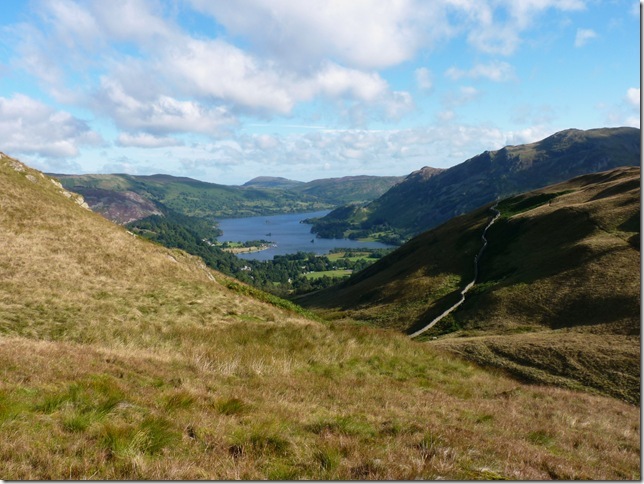 You cant buy Lakeland by prescription to help you along your way…but it does help. 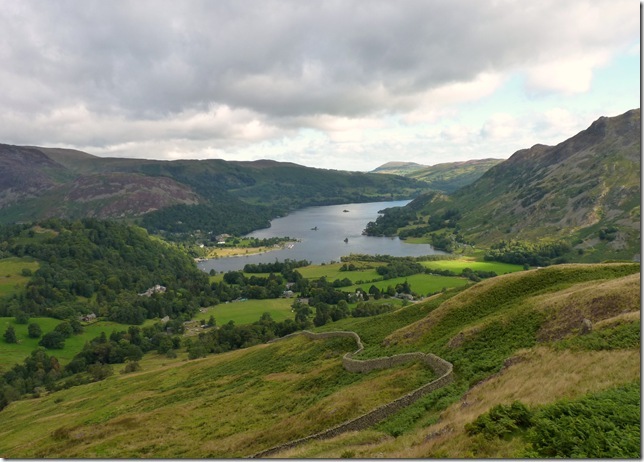 The rough fellside curving out of Deepdale and bounding the highway to Patterdale village has an attractive rocky crown, often visited for the fine view it offers of the head of Ullswater. 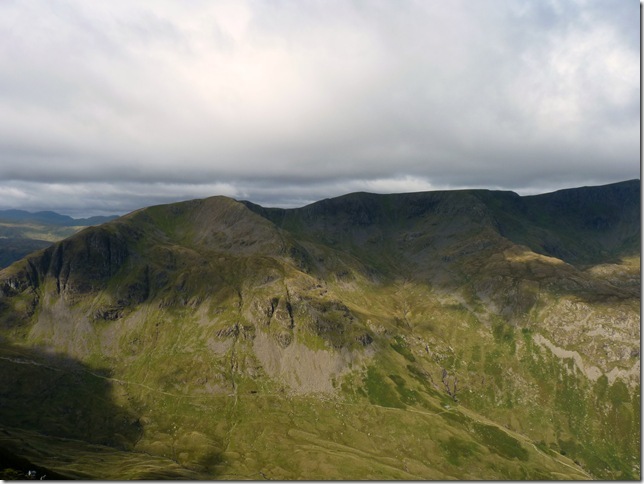 This is Arnison Crag, a low hill with a summit worthy of a mountain. 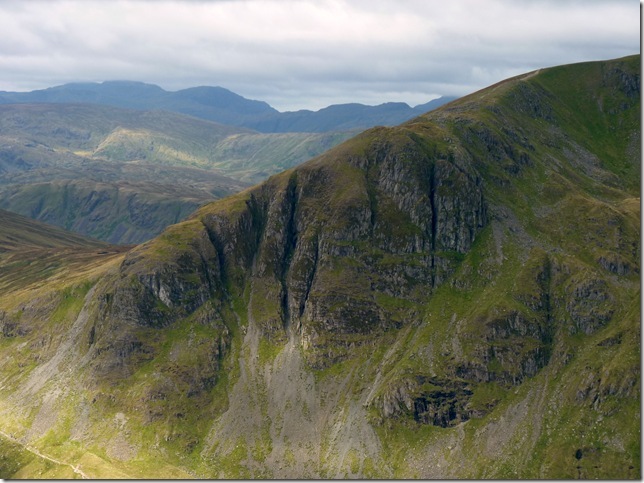 It is dependency of St Sunday Crag, forming the lesser of the two prongs which constitute the north-east spur of that grand fell; Birks is the other. It starts as a grass shelf east of Cold Cove and then takes the shape of a curving ridge of no particular interest except for the sudden upthrust of its craggy summit. 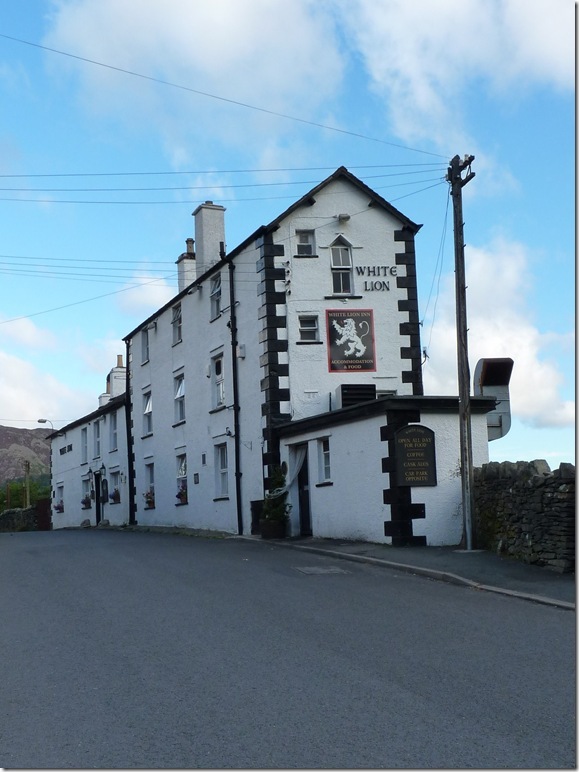 The iconic White Lion, Patterdale. Do as I didn’t right about here, on an ascent of Arnison Crag, In my eagerness to reach fell side I nipped through what I thought was a short cut through the many pathways of the bracken, it cuts the corner where the trees form a 45° angle but in the height of summer this was more hard work than I thought, the path I followed led me to the stone wall which will lead you all the way to Arnison Crag summit anyway. 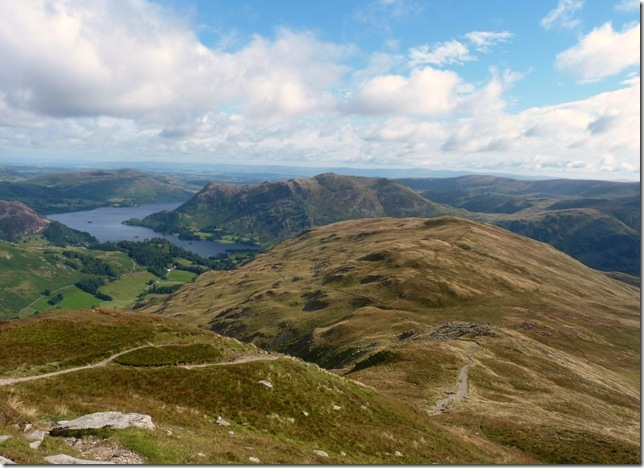 Ullswater from about half way up Oxford Crag. Seen here with this iron stake lodged firmly into the rock, I’m thinking this is some kind of boundary marker. 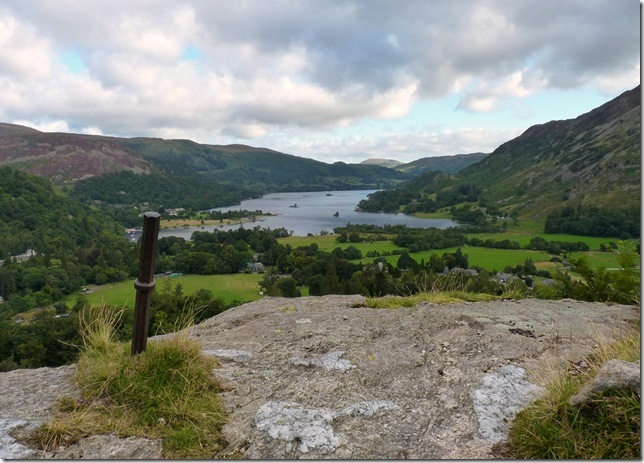 You just cant help yourself looking back on the beautiful Ullswater & surrounding fells, spot the wild camp on the outcrop of rock near where the stone wall bends to the left. 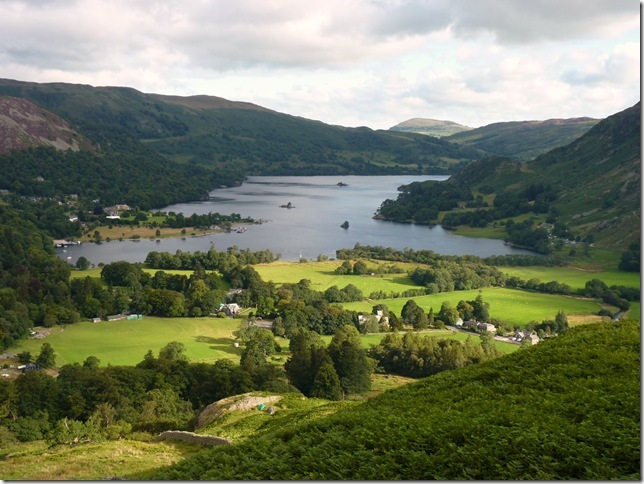 The head of Ullswater & Glenridding with a distant Great Mell Fell in the very background. 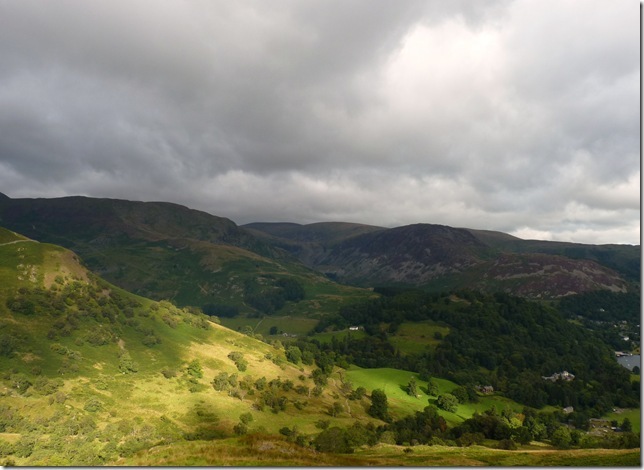 Looking towards Birkhouse Moor, Glenridding Dodd & Sheffield Pike from Oxford Crag. 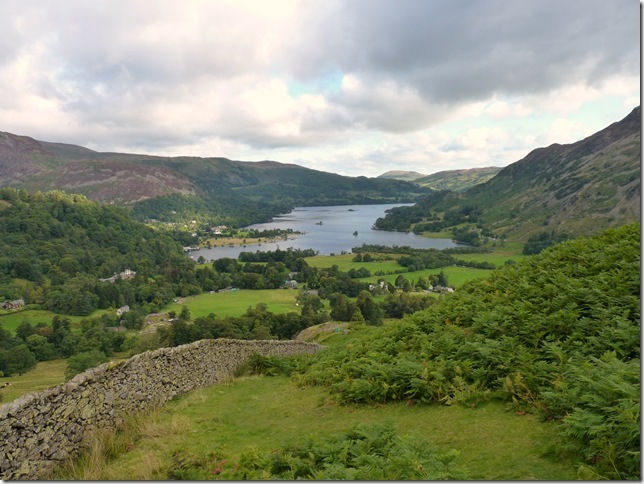 Its now time to leave the wall & make my grassy ascent on Arnison Crag, now I could of shown you the path but its nowhere as interesting as this photo. 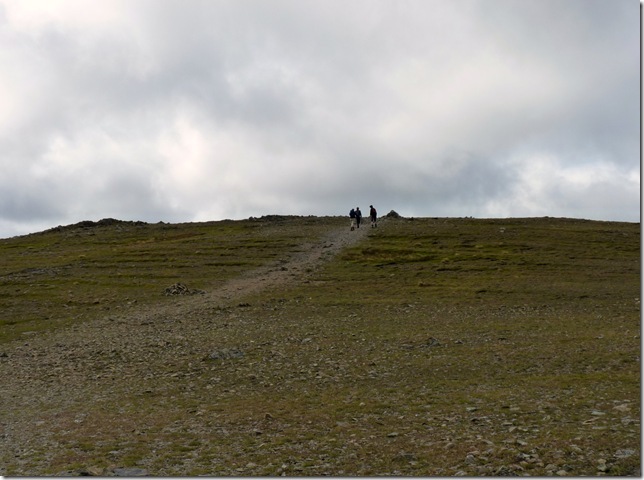 Alfred Wainwright was right, this is the summit worthy of a mountain. 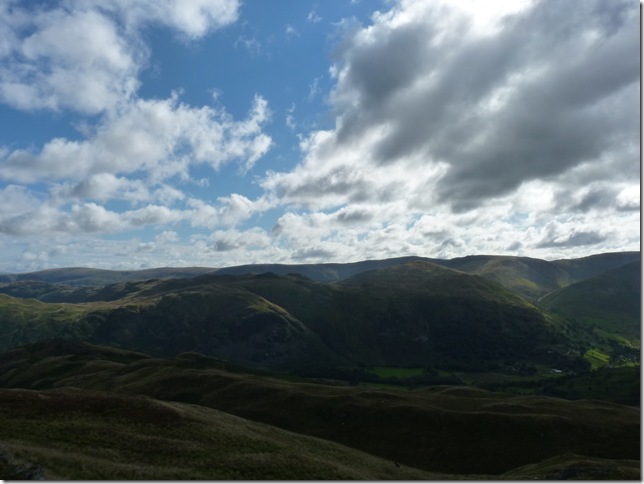 And it seems that today I was some what trans-fixed with views towards Ullswater. Time to head down a little & make my way over to the aptly named ‘Trough’ the Trough is the name given to the head of the Glenamara Park valley seen here coming in from the right of this picture. 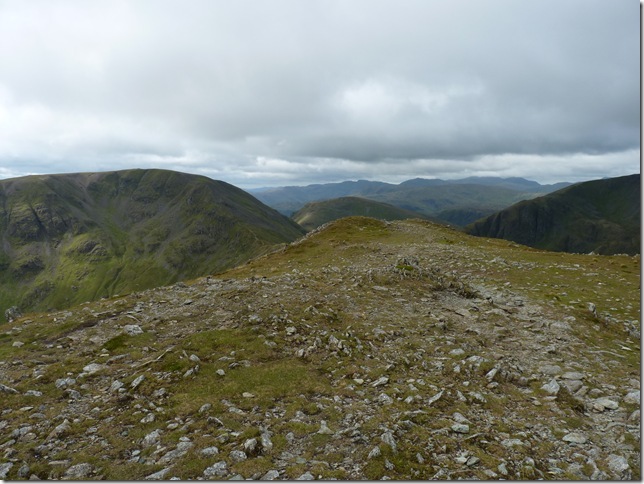 To the left of the picture is Dove Crag & Hart Crag, the pointy peak you see is Gavel Pike & hidden behind the fellside on the right (Black Crag, my route towards Birks) is the summit of St Sunday Crag, its all very confusing from this angle & I must admit it took me a minute to get my bearings. 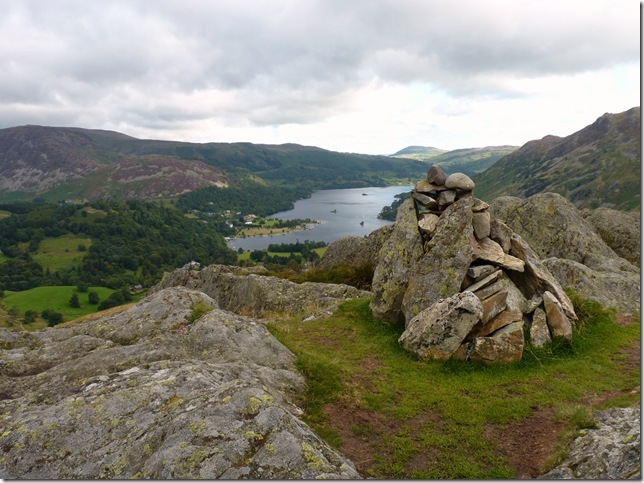 Looking back on Arnison Crag & Place Fell. 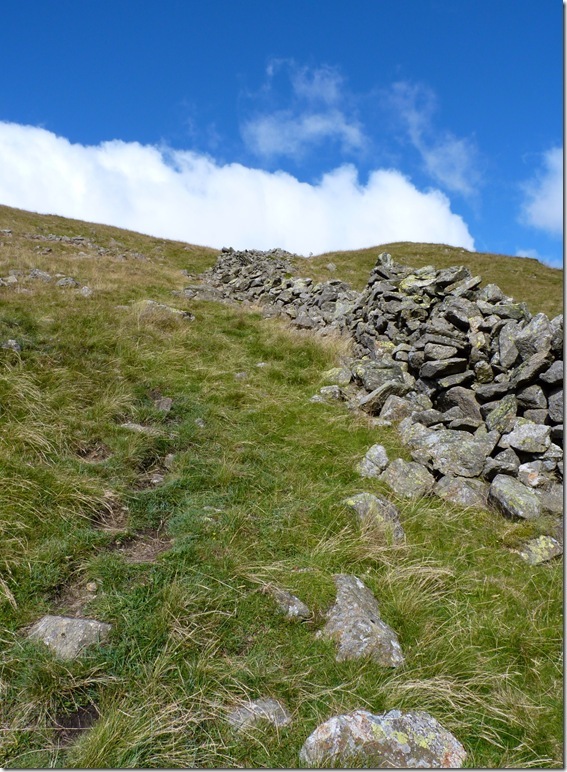 The stone wall you see to the right is the same wall I followed towards the summit of Arnison Crag. Now making my way up towards Birks by this path on Black Crag, it was just a case of following this ruined stone wall, again all the way to the top, yes I will admit this is a little steep but psychologically I had already prepared for it when I planned this route, what I hadn’t planned for was just how windy it was, at this point I’m just in my base layer but I swore to myself as soon as I got to the top the fleece was coming out…damn it felt wintery today! 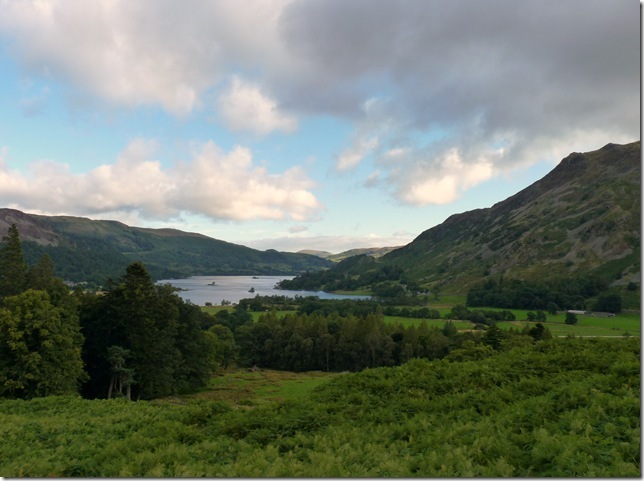 A closer view of Place Fell. 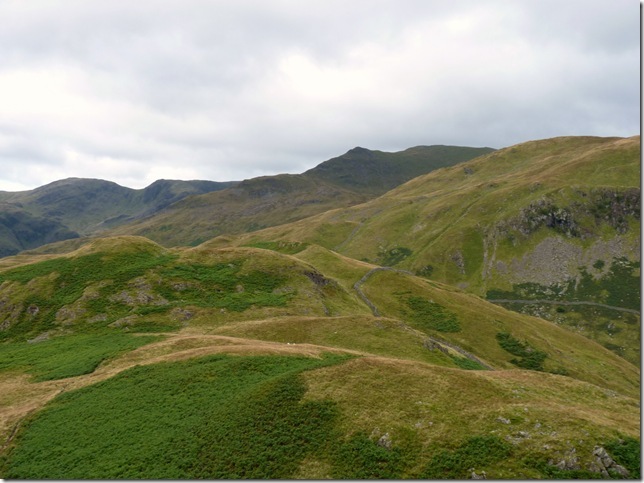 A whole host of Eastern Fells including (L)to(R) Brock Crags, The Knott, High Raise, High Street, Gray Crag, Hartsop Dodd & Caudale Moor. 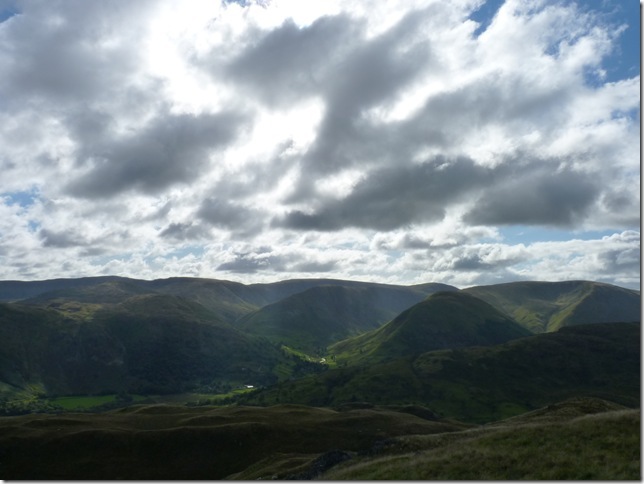 The fell you see in the foreground of the picture is Hartsop Above How. This one includes Angle Tarn Pikes, High Raise & Wether Hill. St Sunday Crag in front of a extremely windy Birks summit cairn, it was here I circumed to the fleece, yes I know were still in August but you really have to of been there, the weather forecast depicted a strong NW Gale & for once they got it bob on, the wind was eye wateringly strong. 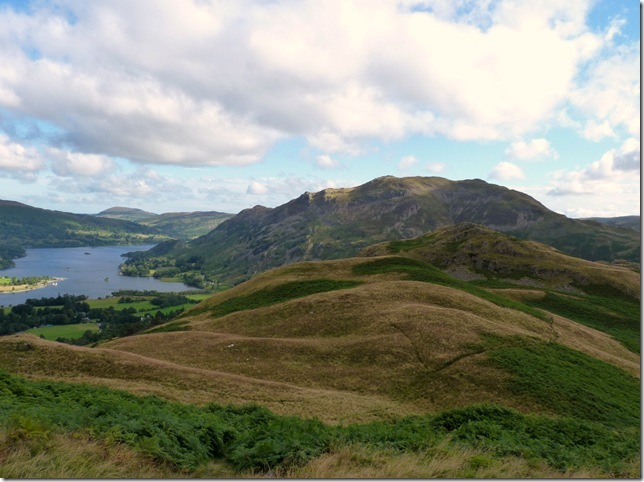 Looking back on Birks, Ullswater & Place Fell from my ascent on St Sunday Crag. 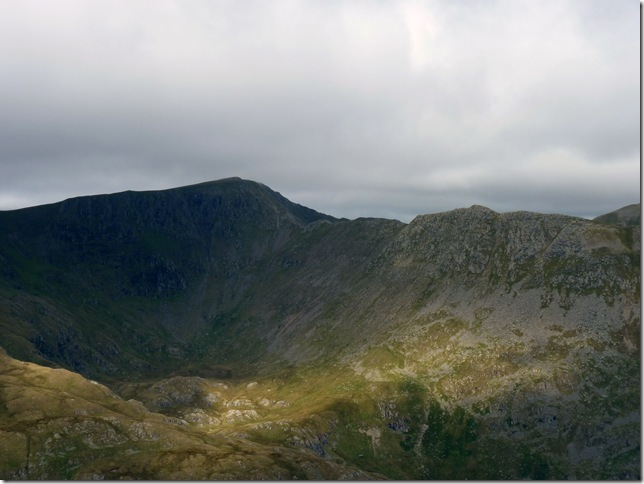 Striding Edge, Nethermost Cove, Hewlvellyn & Catstye Cam. 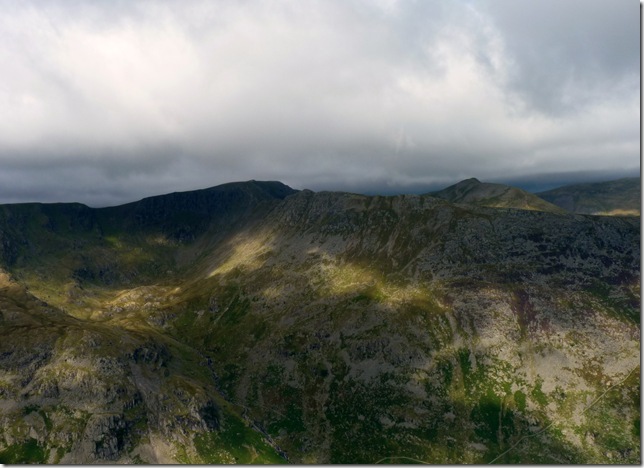 I remember saying to myself there cant be anyone on Striding Edge today, not in this wind… sure enough I saw movement. Battling the wind as I near the summit, these three guys were the first people I’ve seen all morning, a grand father, father & son, three generations pretty cool eh. 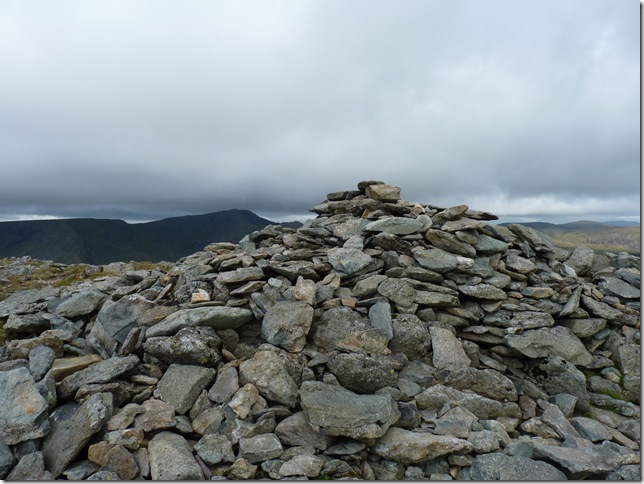 They beat me to the summit so all I got was this rather unflattering summit shot of St Sunday’s cairn with a glimpse of Helvellyn behind, I passed on my hello’s & was soon on my way. 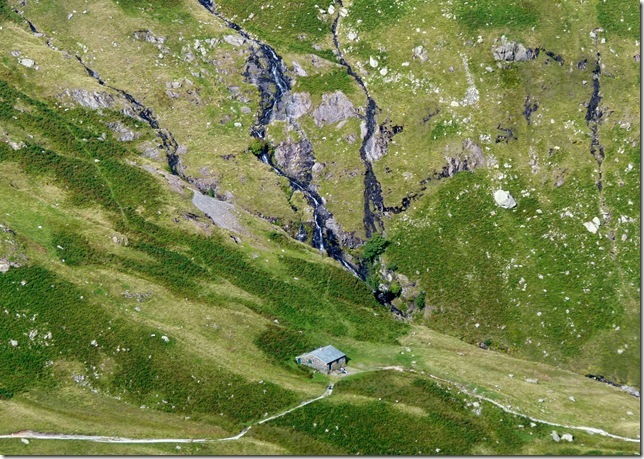 I didn’t actually notice the presence of a ridge as I headed down to Deepdale Hause but after seeing this photo It has proved me wrong? it may have something to do with the grin & glint in my eye as I’m loving every minute of this walk. Ahead we have Fairfield to the left with Seat Sandal Taking centre & a glimpse of Dollywagon Pike’s Falcon Crag to the right. Deepdale Hause together with the ever impressive Grisedale Tarn. 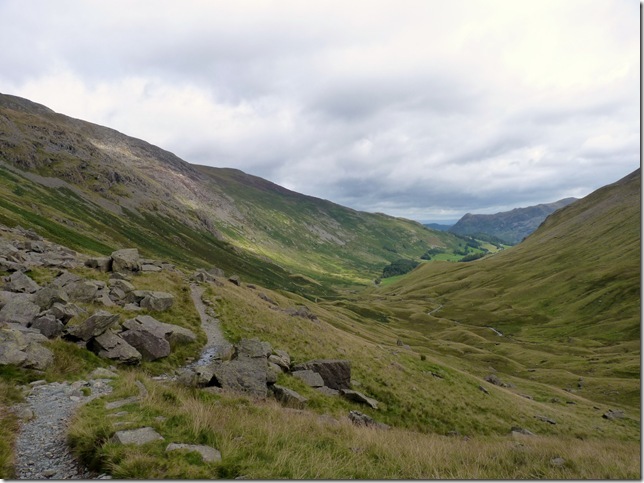 Looking south towards Hart Crag & Dove Crag, the fell in the background is Red Screes. 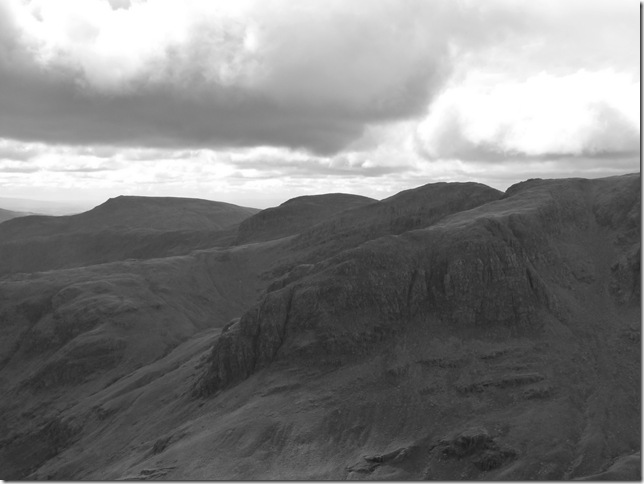 Dollywaggon Pike, Ruthwaite Cove & Nethermost Pike. 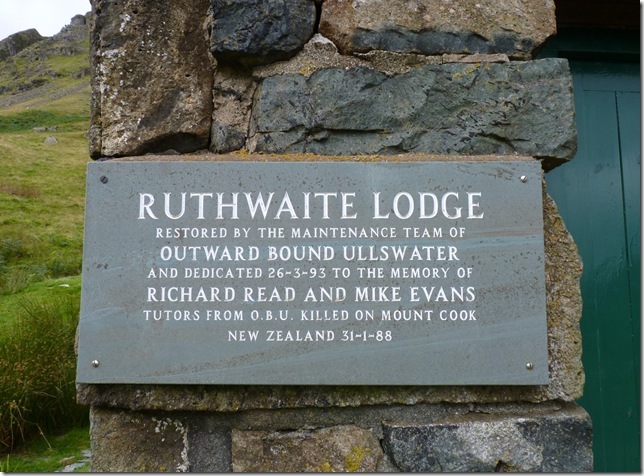 And a close up of Ruthwaite Lodge. 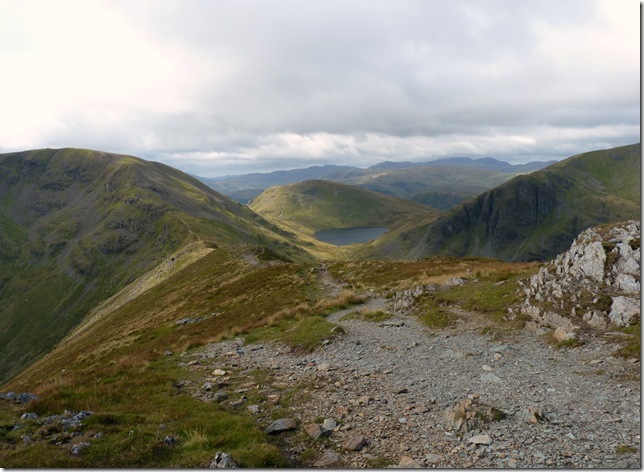 Striding Edge, Nethermost Cove & Helvellyn. 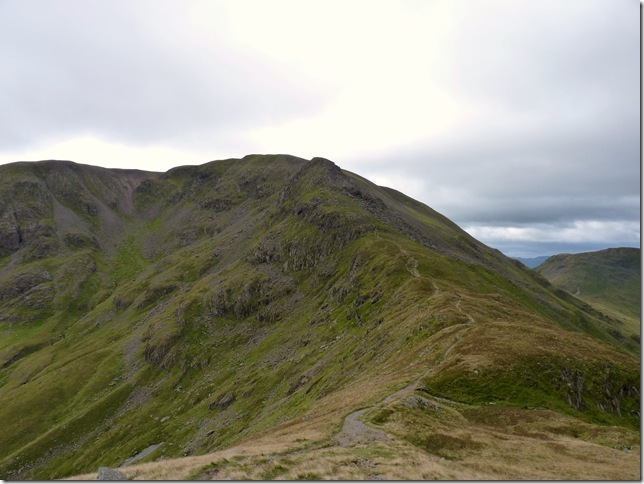 Seat Sandal & Grisedale Tarn. 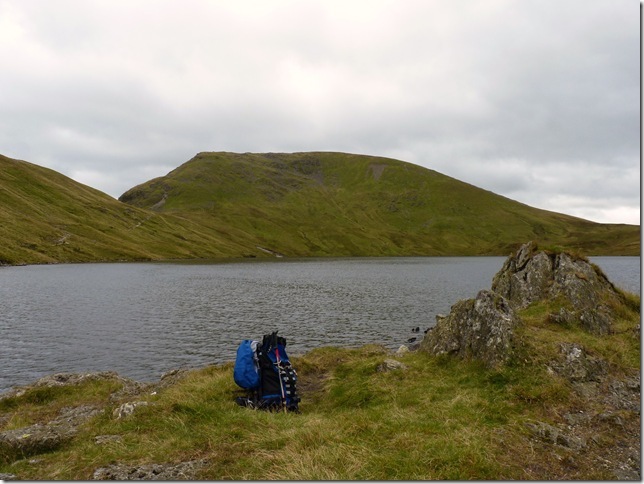 Grisedale Tarn is Lakelands third deepest tarn at 31m. 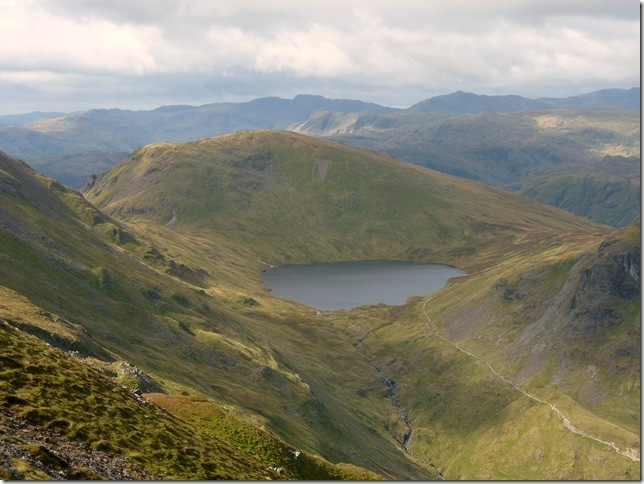 Lakelands deepest are as follows Blea Tarn (Mardale) 63m, Levers Water 37m, then we have Grisedale Tarn & finally Red Tarn (Helvellyn) at 26m. The veins & gully’s on Falcon Crag. 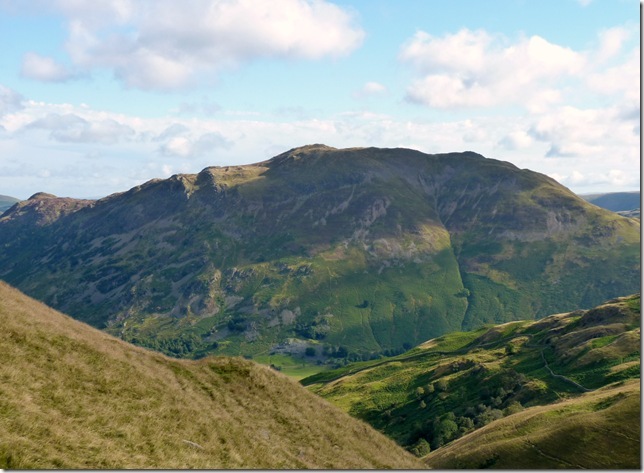 Fairfield, Cova Pike & Cawk Cove. 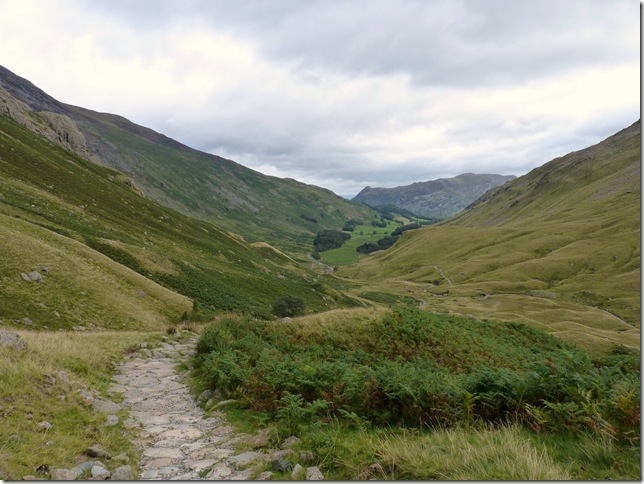 Its time to leave Deepdale Hause & make my descent down to Grisedale Tarn via this path you see in the foreground veering off to the right, its a path I have gazed upon aplenty but have never actually used so this part of the walk I was more than looking forward too. 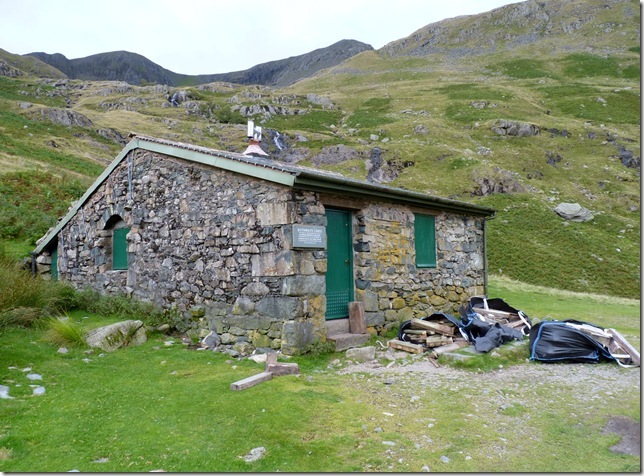 A well deserved first rest stop at Grisedale Tarn & a chance to get out that wind. 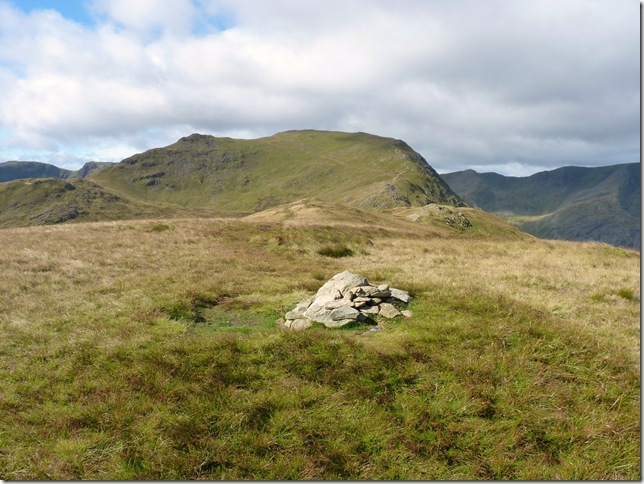 The cairn found at the head of the Grisedale Valley. 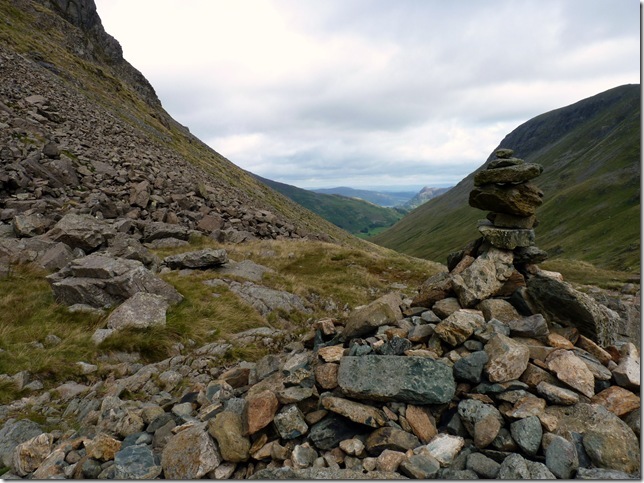 A daren’t even think about adding a rock to this over precarious looking cairn, knowing my luck the whole thing will come tumbling down so I take a couple of pictures & press on for the 3.6 mile walk out of Grisedale. 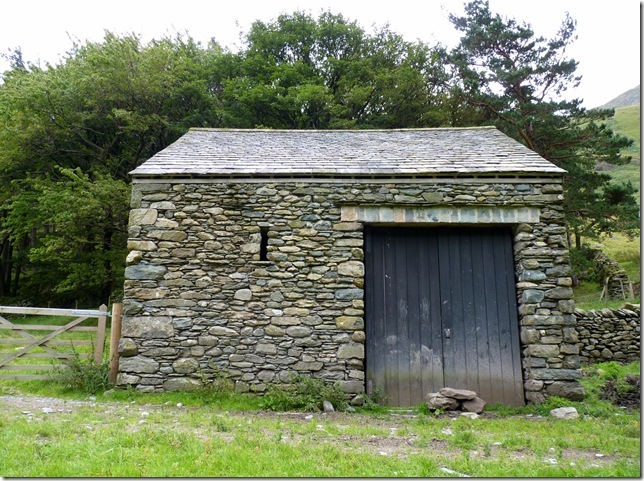 This is the first time I have managed a full frontal shot of the barn where Alfred Wainwright spent the night on the evening of 29th May 1953, it was Coronation Day & the same day Hillary & Tenzing made a successful summit of Everest. 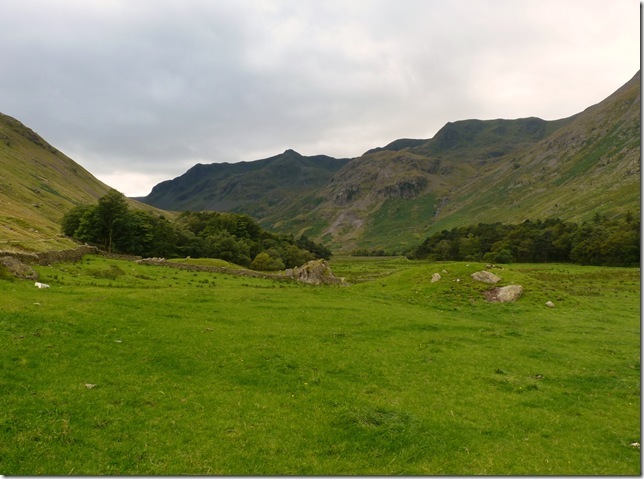 Almost at the end of my walk as I look back for this final picture of Nethermost Pike & Dollywagon Pike, Eagle Crag & Grisedale sweeps its way through the rugged trusses of Lakelands most famous higher peaks,..this is one special valley to me for more ways than one.